Charles Krutch (Tennessee, 1849-1934) East Tennessee oil on board painting depicting a Smoky Mountain summer landscape with storm clouds upper right and a boulder filled creek in the foreground outlined by dense green trees. 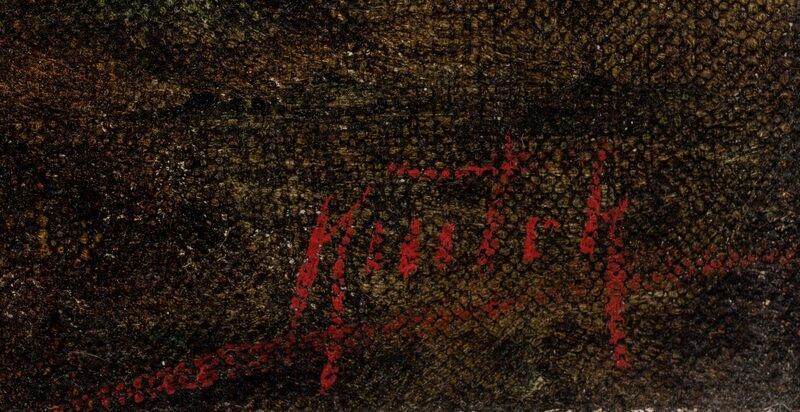 Signed KRUTCH in red lower right corner. 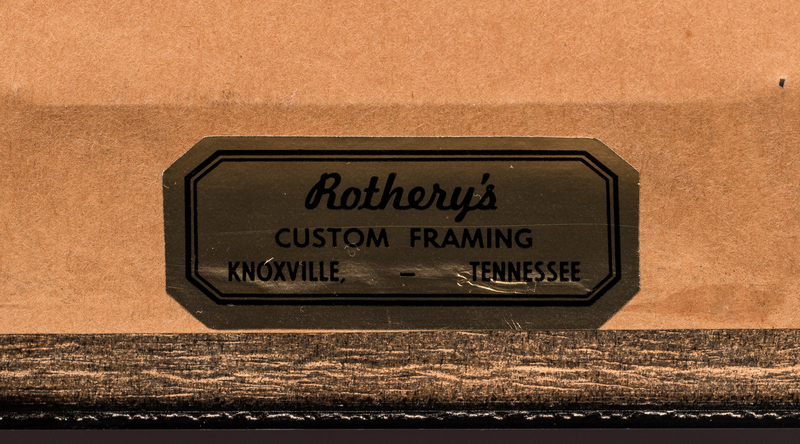 Housed in the original molded gilt frame. 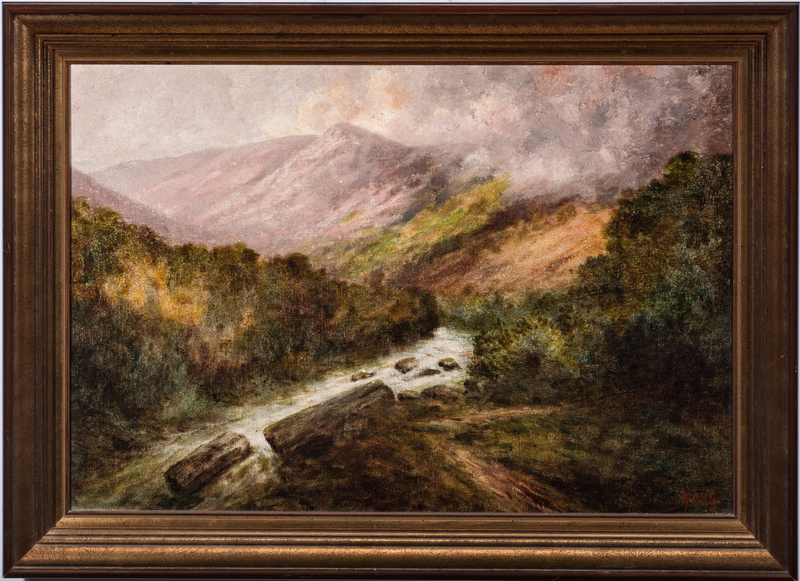 Sight – 17 1/2″ H x 26″ W. Framed – 22 1/2″ H x 31″ W. Provenance: Knoxville, TN estate. 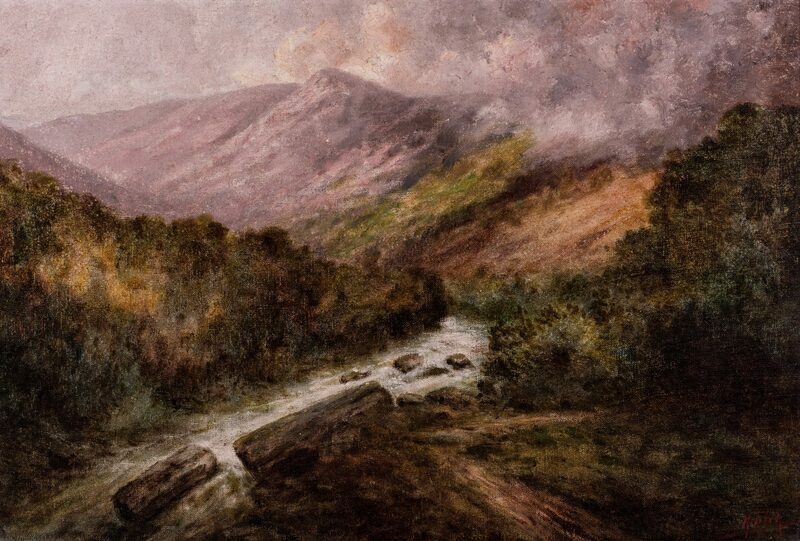 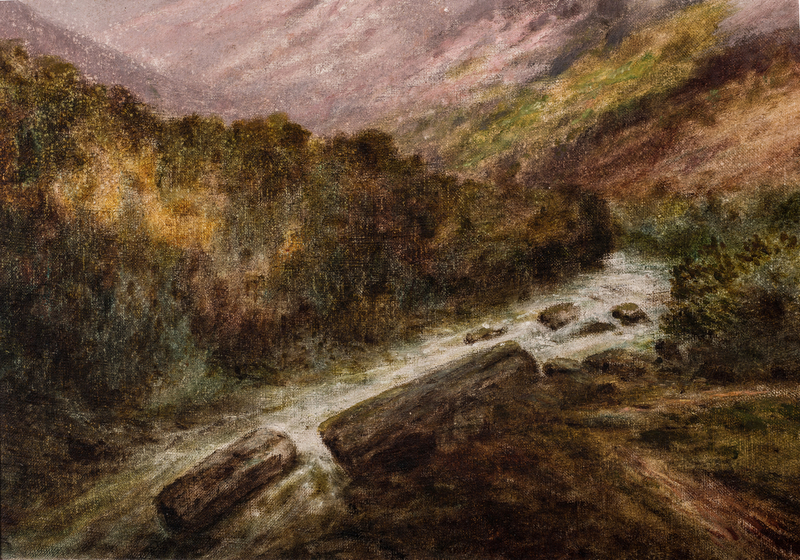 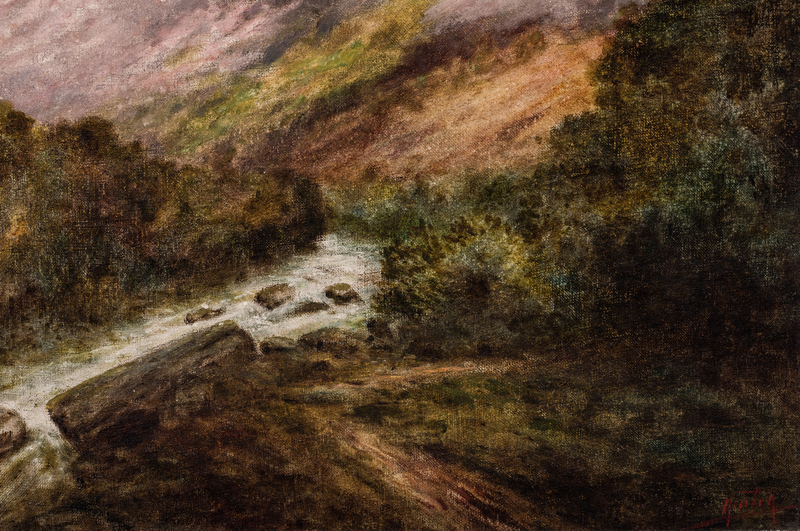 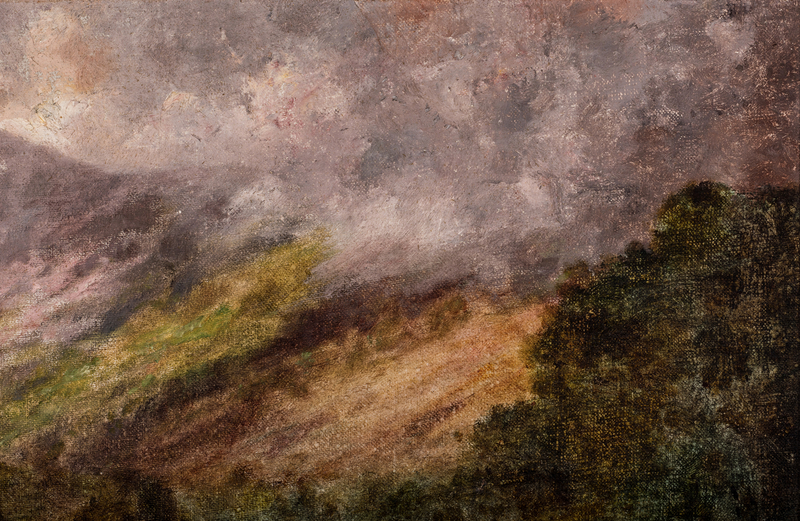 Biography (Courtesy Knoxville Museum of Art): Krutch is regarded as one of East Tennessee’s first painters to specialize in scenes of the Smoky Mountains. 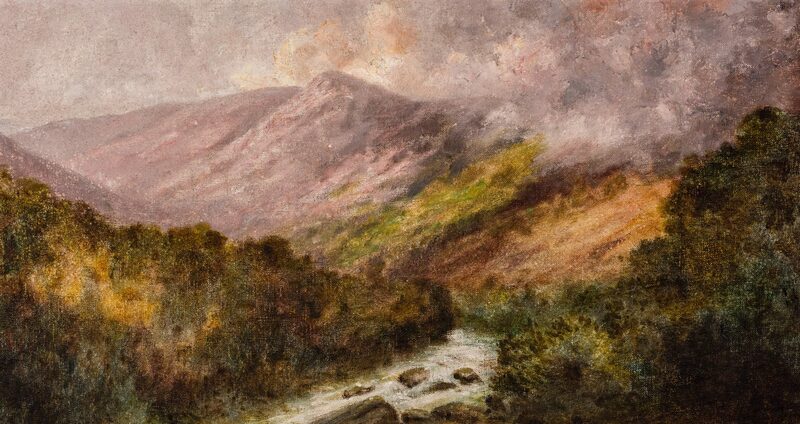 Krutch earned the nickname “Corot of the South” for his soft, atmospheric watercolor and oil paintings of the mountain range that served as his sole focus. Totally untrained as an artist, he often applied thick layers of oil paint with brushes as well as his fingers. 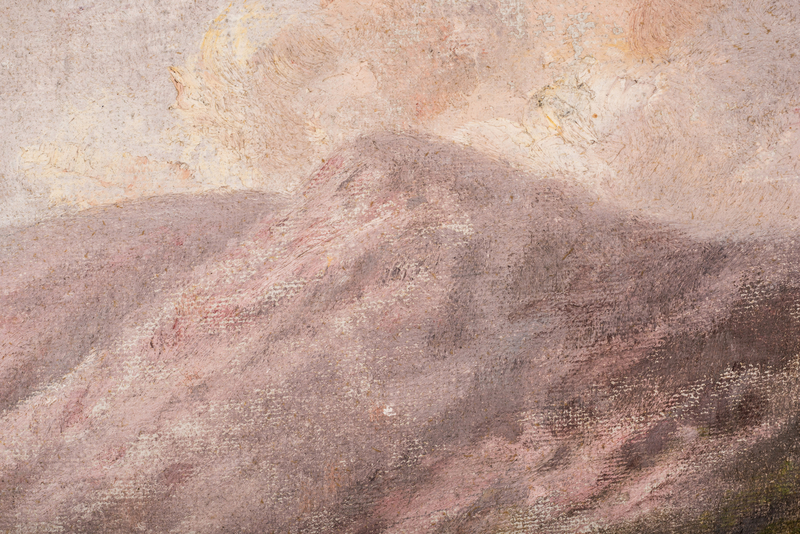 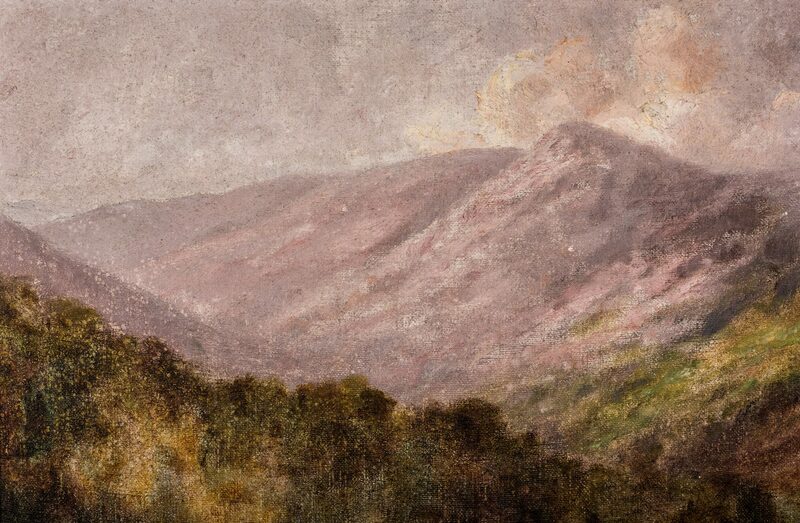 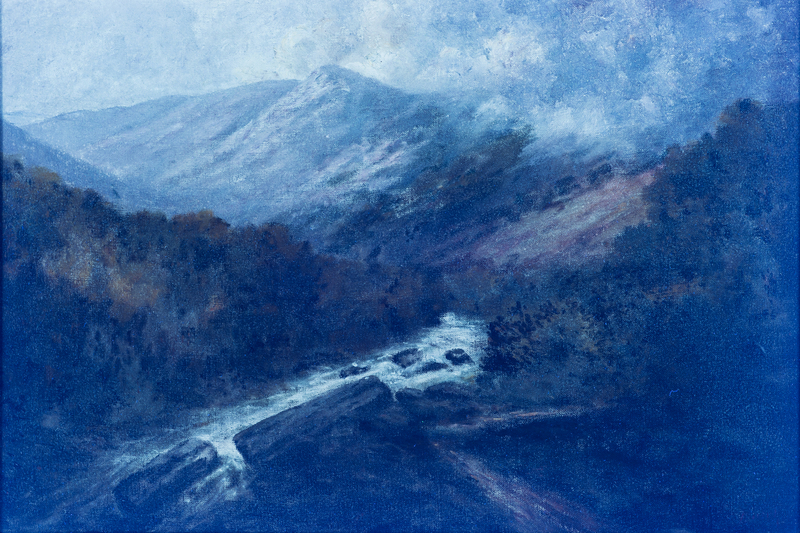 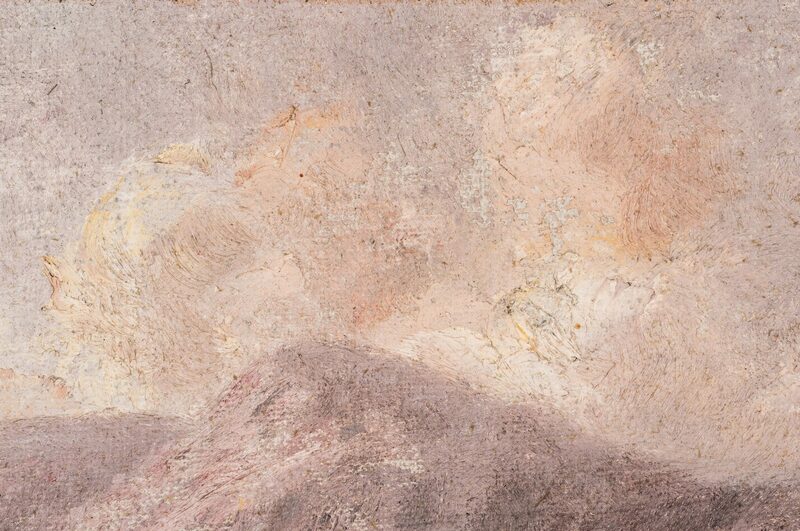 Krutch’s goal was to capture the changing “moods” of the mountains. 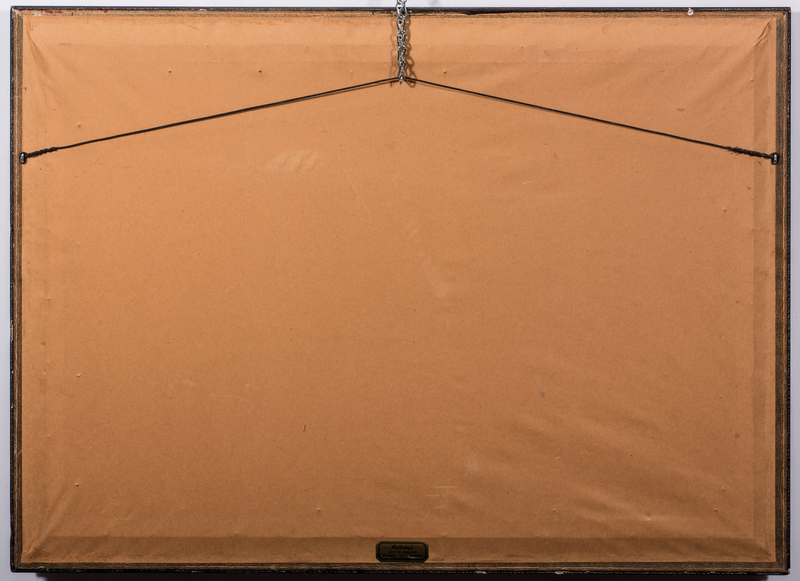 CONDITION: Painting overall very good condition, minor abrasions to sides of frame.